February is National Children’s Dental Health Month (NCDHM), created by the American Dental Association (ADA) to raise awareness about oral health care for children. Helping that cause, Dr. Dena and members of her team have been visiting local schools in the Dallas area to talk to kids about the importance of maintaining good oral hygiene and how to keep their teeth and gums healthy. It is important for children and their parents to know how to practice good oral hygiene habits that can help children stay healthy and prevent future potential problems. According to the ADA, a child’s first dentist appointment should happen before their first birthday or as soon as they get their first tooth, whichever comes first. The first appointment aims to help the parents understand what needs to be done to take care of baby teeth and keep them healthy. This may include how to brush baby teeth and how to avoid decay and infection. As more teeth come in, children should continue seeing their dentist every 6 months for normal cleaning and check-ups. This helps prevent potential problems from forming later, such as tooth decay and cavities. Those problems can lead to pain, trouble eating and speech problems. Children with healthy teeth can avoid those issues and grow up smiling confidently! It’s important to take care of baby teeth even though they are temporary. These baby teeth prepare the child’s mouth for permanent teeth by reserving space, and good oral hygiene gives permanent teeth a healthy start. The enamel development of permanent teeth can be affected by decay and infection of baby teeth by keeping the enamel from properly forming. In addition, baby teeth are an important part of speech development. Cavities are the most common chronic disease among children in the United States, and five times more common than asthma. According to the Centers for Disease Control and Prevention (CDC), over 40 percent of children are affected by tooth decay in their baby teeth by the age of 11, and over 20 percent are affected in their permanent teeth by the age of 11. That being said, tooth decay is preventable with proper oral hygiene and regular dental visits! In addition, fluoride use and healthy eating habits are known to contribute significantly to keeping a child’s teeth and gums healthy. 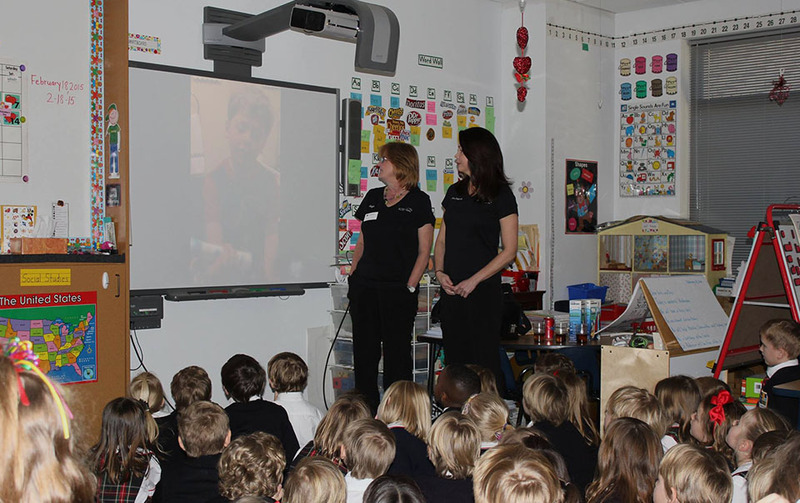 The NCDHM and visits to schools from dentists like Dr. Dena are great steps toward raising awareness about good oral hygiene and preventing dental problems during childhood.